Stephanie Loria is a native of Queens, New York. She fell in love with small terrestrial arthropods at the age of 10 and as a high school student took classes in the After School Program at the American Museum of Natural History (AMNH) and interned in the Science Research Mentoring Program working closely with museum scientists in the Center for Biodiversity and Conservation. She completed her B.S. in Environmental Studies: Ecology and Biodiversity in 2011 at Sewanee: The University of the South in Sewanee, Tennessee, where she was an active member and president of the Sewanee Natural History Society, the inspiration for the MSNH. At Sewanee, Dr. Loria cultivated her love for invertebrates, studying gene flow among populations of cave millipedes. She also interned at the Field Museum of Natural History in Chicago studying the Malagasy giant pill-millipede genus Sphaeromimus. In 2011, she joined the Richard Gilder Graduate School and Scorpion Systematics Research Group at the American Museum of Natural History to pursue her Ph.D. in Comparative Biology. 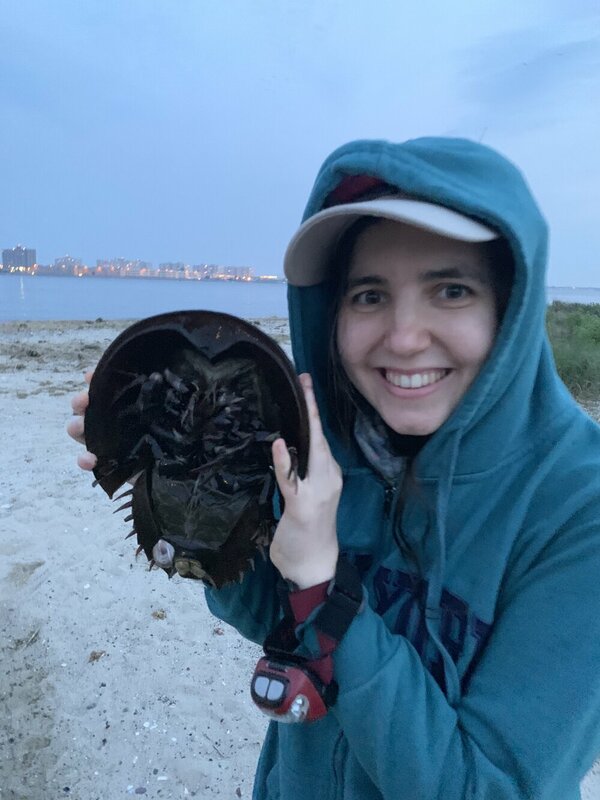 She completed her Ph.D. in December 2015 and since then has taught undergraduates at the State University of New York College at Old Westbury and high school students in the After School Program at the AMNH. She also served as a postdoctoral research scientist in the Arachnology Lab at the California Academy of Sciences in San Francisco studying scorpion neuroanatomy using MicroCT scans. Presently, she is a postdoctoral research scientist in the Scorpion Systematics Research Group at the AMNH. Harald Parzer was born and raised in Salzburg, Austria, a place where the hills still are alive. Because of this, Dr. Parzer developed a deep love for anything "zoology" and went on to study biology at several universities, including the University of Salzburg, Austria; University of Hong Kong, China; and University of Wuerzburg, Germany. Eventually, he went to the University of Vienna, Austria where he received his M.S., studying the mating system of the soldier beetle Rhagonycha fulva. In addition to soldier beetles, he also worked on several other organism groups, including leaf cutting ants, bats, and apes. Dr. Parzer left Austria in 2006 to pursue a Ph.D. at Indiana University, working on the evolution of dung beetle genitalia. After completion of his Ph.D. in Evolutionary Biology, he accepted a position as an Assistant Professor at Fairleigh Dickinson University in the lovely town of Madison, New Jersey. In addition to teaching courses like Biological Diversity, Evolution, and Entomology, Dr. Parzer continues to conduct research with undergraduate students on a variety of topics, including genital evolution and water bear ecology. Glenn Doherty is a native New Yorker with many varied hobbies. He is employed by Carl Zeiss Microscopy and supports customers' scientific imaging needs. As science is more of a hobby to him, he uses this position as a way to stay on top of new and exciting science, and to learn more about the myriad scientific fields out there, without the need to work in those fields exclusively. Both on professional and personal levels, Doherty helps people figure out what type of equipment - from lighting and cameras, to data storage devices - is best for capturing and recording the information that's most crucial to their realm of study, from mountains to microscopic particles. Doherty graduated from the Rochester Institute of Technology (RIT) in 2010 from the Biomedical Photographic Communcations major and has been fortunate enough to study underwater, special effects and high-speed photography. He is an avid hiker, camper, and woodworker, and he hopes in the future to be employed as a forensic crime scene photographer and evidence technician.